Collard greens are in the Brassicaceae Family, very similar to normal cabbage but do not form a head. They are grown solely for their leaves that grow outwards from the main stalk on inedible stems. Like most other greens, collards are rich in vitamins and minerals. Collards are a cool-season vegetable that is a biennial in most areas. They like a position in the garden that offers full sun, but will tolerate partial shade as long as they get the equivalent of 4 to 5 hours of sun to bring out their full flavor. Collards are more tolerant of both warm and cold weather than other member of the cabbage family making it possible to harvest over a long season. They can be planted in the early spring for early summer harvest and again in mid to late summer for fall/autumn and early winter harvest. However in the hot summer sun collard green plant will run to seed fairly quickly. While collards are frost hardy their growth rate will slow considerably as the temperature drops. 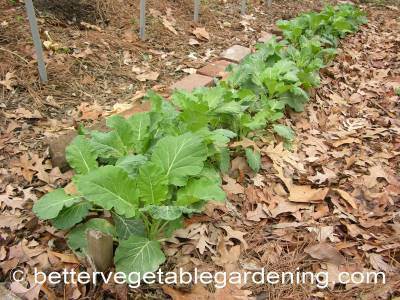 There is a little wilting on these collard greens after they had 2 inches of snow over them. a few days later they have recovered and continued growing. 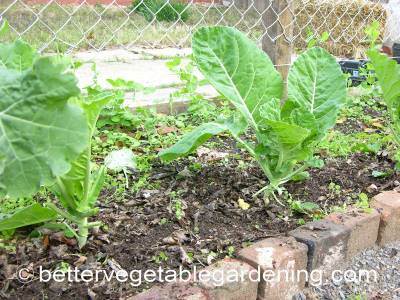 For fall/autumn crops you should sow collard seed about 90 days before the first expected frost. This will give a good harvest period before the winter sets in. Growing collards is possible in a wide range of soil types, but prefer fertile well-drained, moist soils with plenty of organic matter. Good growth is experienced with a pH of between 6.5 and 7.0. A soil ph in this range will discourage club root disease which can affects all members of the Brassicaceae family to varying degrees. best planting method; direct sown to the garden or planted as seedling transplants. 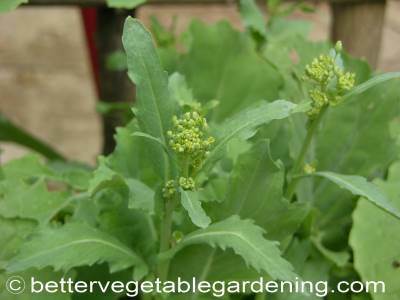 This will give you plenty of super young greens to harvest and use raw in salad before many other salad greens are available. 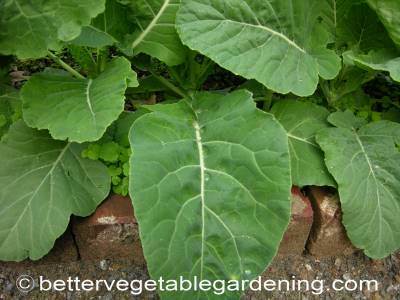 Transplant your collard seedlings a little deeper than they were in their pots. 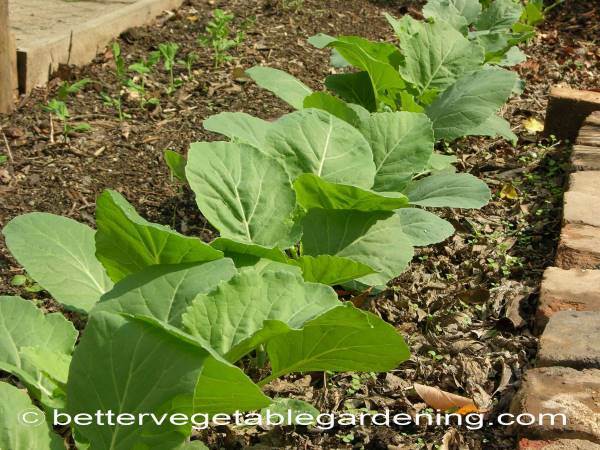 Alternatively plant the collard seedlings at their final spacing of 18 inches (45 cm) apart and 24-36 inches (60-90 cm) between rows as healthy well fertilized plants can take up a lot of garden space. The amount of work involved in caring for collard greens will depending on the method of sowing or transplanting collard seeds and seedlings. As the plants mature deep green leaves like this are excellent as cooked greens. If direct sown to the garden thickly thinning will be required. 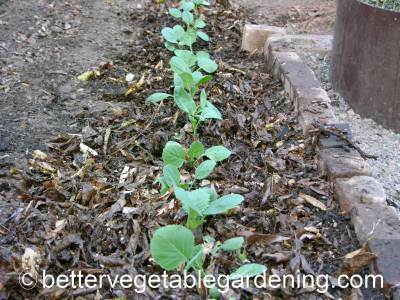 After the collards have germinated and are growing leave them until they are about 4-6 inches (10-15 cm) tall. At this point you can start thinning them out and you can either eat or transplant the thinned plants . Continue thinning the seedlings as they grow bigger until they are about 18 inches (45 cm) apart. Stop thinning at this stage and harvest only the leaves from the remaining plants as they become big enough to pick. Thinning transplanted collards greens that were planted close together will require nothing more than harvesting the whole plant giving the remaining collards room to grow. Like most vegetables collards like an even supply of water. Water the plants well each week if it does not rain. Mulching will help to conserve soil moisture as well as reduce weeds and keep the soil cool in the summer. Because collard greens produce so much foliage that gets harvested often, good fertilizer management goes hand-in-hand with regular harvesting. 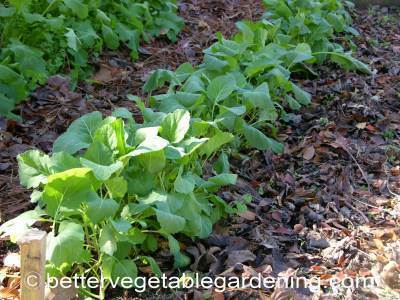 Like all leaf vegetables growing collards benefit from plenty of nitrogen. Side dressings of an organic nitrogen fertilizer every 4-6 weeks throughout the season (depending on your soil fertility) will keep collard greens growing well and reward you handsomely for your efforts. When growing collard greens , to help reduce disease, do not plant them or other member of the Brassicaceae family in the same place in the garden more than once every two or three years. 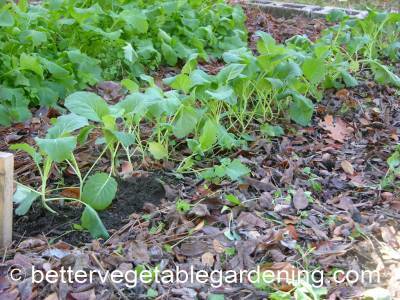 A four year rotation is better but often more difficult in the home garden. All green parts of collard plants are edible and may be harvested at any time during the growing season. Plants that were grown close together can be harvested as needed or as thinning is required. Collard plants that were planted at their final spacing's should be harvested by picking the larger leaves when the plants are 10 to 12 inches tall. This harvesting method allows the younger leaves to continually develop for later use. As with all members of the cabbage family a light frost improves the flavor and makes them taste sweeter. Collards store better than most greens. Fresh collards can be stored for up to 10 days if refrigerated to just above freezing at high humidity. They will also stay fresh for 4-5 days just in the crisper drawer of the refrigerator. Collard greens are one of the few vegetable greens that can be successfully stored by freezing.